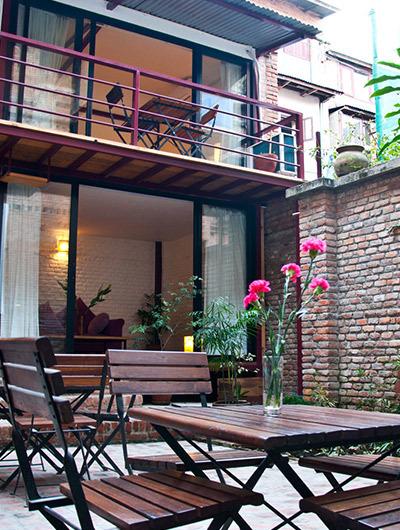 Festoon Hotel is situated in Thamel, within walking distance of the main commercial and tourist entertainment hubs, as well as tourist sites like Narayanhiti Palace Museum, Durbar Square, Swoyambhunath, Kathmandu Durbar Square, etc., Festoon Hotel offers comfortable accommodations with convenient facilities. Guests are offered a choice of 18 rooms, ranging from basic and standard to deluxe. All rooms are equipped with amenities such as work desk, hair dryer, free WiFi internet, and telephone with wake-up call service.